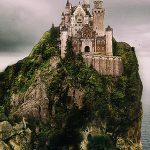 Can world literature exist? It depends on what is meant by world literature. But what is world literature? World literature comes in two alternate, conceivable versions: contemporary world literature and global classicism. 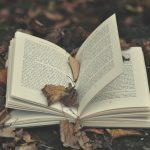 Contemporary world literature is the literature of contemporary societies — particularly works of literature that obtain an international reputation. Global classicism might be described as contemporary literature inspired by the multiple traditions of the premodern regional literate civilizations of Eurasia, including the Chinese, Indian, Greco-Roman, Euro-Christian, and Muslim. 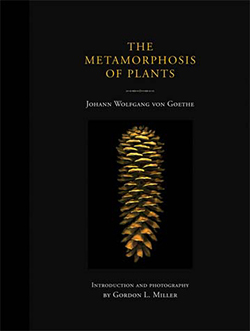 Goethe contributed to both kinds of world literature. He owed his early fame to The Sorrows of Young Werther (1774), a novel for a bourgeois readership that was strikingly modern for its time and translated into many languages. But in his subsequent literary career, after repudiating romanticism for classicism, the Sage of Weimar experimented with premodern and foreign models, adapting genres and forms from ancient Greece and Rome as well as medieval European balladry. Among the recondite late works of his old age are poems inspired by the medieval Persian poet Hafez, the West-Eastern Diwan (1819), the very name of which evokes cross-cultural exchange. The two versions of world literature follow these two trails blazed by Goethe. There is the contemporary world literature of Werther and there is also the self-consciously classicist world literature symbolized by the West-Eastern Diwan. The one has a vast potential audience, the other a small but sophisticated audience. Drama and narrative are more exportable than lyric poems or songs, which depend so much on the structure of particular languages. The dominant form of storytelling in the 21st century is drama, in the form of movies and television. In second place is genre fiction — romance novels, historical novels, fantasy novels, detective novels. If the size of the global audience is the index, then one of the leading examples of contemporary world literature is the late Swedish author Stieg Larsson’s Millennium series (2004-2007) and the Swedish- and English-language movies made from it, both entitled The Girl with the Dragon Tattoo after the first novel in the series. Larsson’s mystery novels, like most widely-read novels today, are “genre fiction,” not quasi-academic “literary” fiction. Similar international success has been enjoyed by the fantasy author George R. R. Martin’s yet-to-be-completed series of epic fantasy novels, A Song of Ice and Fire. The individual books were international bestsellers, even before the HBO series Game of Thrones introduced Martin’s work to an even larger audience. World literature in the form of contemporary popular culture is not monopolized by Western cinema or fiction. Hong Kong action movies have a global following. So do Japanese comic books. In the United States, so-called “literary” novels and short stories, along with most poems, are chiefly produced and read, when they are read at all, by professors of creative writing employed by Master’s of Fine Arts (MFA) programs in the U.S. As the audience for realistic fiction about the emotional travails of contemporary upper-middle-class characters has collapsed, many “literary” writers have begun to work in more popular genres. Cormac McCarthy has written Westerns and a science fiction novel, The Road (2006). Hilary Mantel’s trilogy about Thomas Cromwell has inspired a television miniseries, Wolf Hall. Kazuo Ishiguro has just published The Buried Giant, a fantasy novel set in medieval Britain. The refugee flow is accelerating from Cheeverland, the proverbial suburban setting for the mid-century literary fiction of John Cheever and John Updike. Must world literature be limited to a few popular movie and fiction genres? The alternative is a conception of world literature as global classicism that is more inclusive in terms of forms and genres — but more exclusive in terms of audience. Classicism is the self-conscious appropriation and renovation of the prestigious forms — literary or artistic — of an older society. Homer was not a classicist; epic poetry was the contemporary literature of its day. But the “secondary epics” of Apollonius of Rhodes and Vergil, and later Tasso and Milton, were self-conscious work in a genre that was no longer alive in contemporary culture. In the West, from the Alexandrian and Roman poets onward, a succession of renascences of classical culture revived and renovated prestigious ancient literary genres. Something similar took place in China, where cultural continuity was greater than in post-Roman Europe. The social focus of literary classicism in premodern times was usually the royal or aristocratic court. The move by Goethe from Western classicism to a kind of global classicism was a logical one. If modern Europeans can try to bring new life to long-moribund Greek and Roman forms, which first evolved in radically alien societies, then why can’t they do the same with non-Western classical traditions? Goethe’s Persian-inspired poetry, his praise of the ancient Sanskrit poet and dramatist Kālidāsa, and his interest in the classic Chinese novel foreshadowed the practice of poets like William Butler Yeats, who adapted conventions from Noh drama for plays set in Ireland. In the 19th and 20th centuries, two exotic species, the ghazal, a Middle Eastern and South Asian verse form, and the haiku, took up residence in a small corner of the Western poetic repertory. Like all cultural appropriations, the transplanting of genres and forms from another historic civilization can go horribly wrong. Consider, for example, the disaster of Ezra Pound’s “translations” from Chinese, which have convinced generations of Anglophone readers that classical Chinese poetry — which in fact was strictly rhyming and highly allusive — was a kind of imagistic free verse. Unlike the version of world literature that equates it with internationally-renowned contemporary popular cinema and fiction, world literature-as-global-classicism, like earlier versions of classicism, inevitably has a small and sophisticated audience. 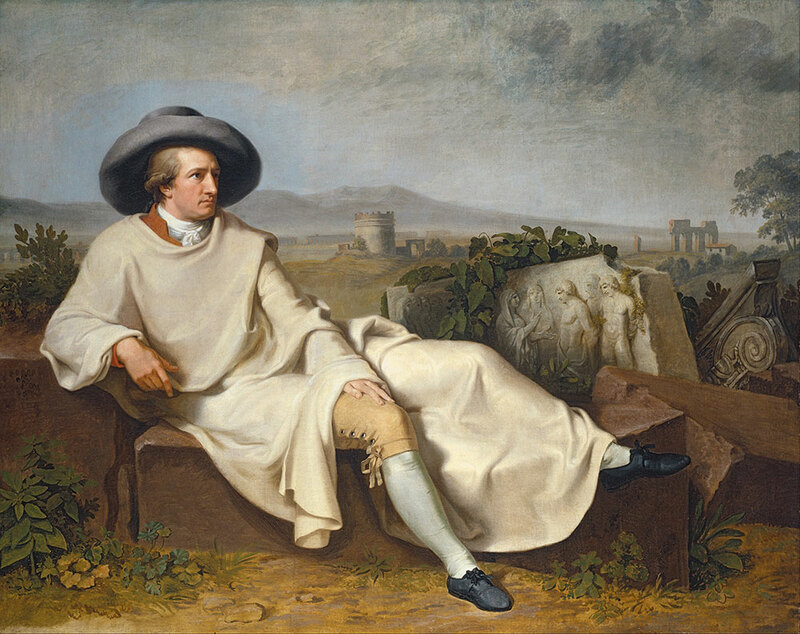 Goethe implied this, in his remark to Eckermann: “I am more and more convinced that poetry is the universal possession of mankind, revealing itself everywhere and at times to hundreds and hundreds of men…” “Hundreds and hundreds” was a pretty small audience, even in the world of 1827. Since Goethe’s time, the university campus has replaced the court as the center of non-commercial “high culture.” The sort of high-culture hybrids that Goethe and Yeats produced could never compete for international audiences with Werther or Game of Thrones. But such hybrids might flourish in the hot-house environments of universities. At least they might have flourished, if not for the literary culture of early 20th century modernism that dominates Western academic literary culture to this day. Most of the early Anglo-American modernists like Eliot, Pound, and the Southern Fugitives were conservative or reactionary. But they did not seek to promote a renaissance of traditional forms. On the contrary, they rejected inherited forms and genres and posited a complete — and in their view disastrous — break between the past and the present. Contemporary writers could make cryptic allusions to older masterpieces, but modernists were not allowed to work in classical genres, whether those of the West or non-Western high cultures. To do so, the modernists believed, was to engage in ridiculous anachronism. After World War II, academic modernists succeeded in purging from the university literary canon poets like Edwin Arlington Robinson and Edna St. Vincent Millay, who were among the most celebrated poets of the first half of the 20th century. Some of Robinson’s lyrics were spared, but his crime of writing a trilogy of narratives in blank verse using Arthurian subject matter violated multiple modernist taboos. So did Millay’s use of the sonnet. Among other results, the modernist ban on the use of pre-modern Western and non-Western classical genres and forms, except in a spirit of self-conscious irony, brought an end to the kind of global classicism symbolized by Goethe’s ghazals and Yeats’s Noh dramas. If using pre-modern literary Western conventions is banned, then exploring pre-modern non-Western forms and genres must be out of bounds as well. A contemporary poet who tries to synthesize Hellenistic mime with Sanskrit dance drama, in the spirit of Goethe’s cosmopolitan classicism, is unlikely to win awards or grants and may go unpublished. The legacy of early 20th century modernism explains the restriction of most of today’s university-based poetry to two genres: the dominant genre of anecdotal or confessional free verse lyrics, and a minor genre of erudite poems as difficult to decipher without end notes as The Waste Land of Eliot or Pound’s Cantos. The expansive poetry movement of the late 20th century associated with poets and critics like Dana Gioia that sought to renovate both formal verse and non-lyric genres like narrative poetry to date has failed to free mainstream poetry from the tyranny of the short free verse lyric. But a century is not a long time in the history of culture. Modernism is no longer modern. Eventually, intelligent people are bound to tire of a choice between a lowest-common-denominator international popular culture and a campus-based literary culture limited to realistic novels and chatty free verse poems. The current ban on the appropriation of forms and genres outside of the West and prior to World War I may be resisted by future generations that are less conformist and more creative. We can imagine a future global elite literary culture, including new forms of visual media and perhaps virtual reality technology, whose makers regard the classic traditions of India, China, and the Middle East as well as the Greco-Roman and medieval West as sources of inspiration, not relics of an irrelevant past that are off-limits in a museum. And the centers of global classicism in the future may be far from Europe and North America. At its worst, global classicism could degenerate into scholasticism, like Hermann Hesse’s Glass Bead Game. At its best, it could produce a genuine world literature far more erudite and refined than global popular culture. Numerous and obvious counterexamples exist for just about every statement made in this article. T. S. Eliot wrote a drama in blank verse, Joyce took on Homer himself, Pound called his major book-length poem the Cantos (ring a bell?) Etc. But in an article that suggests a poet combine the speechless forms of mime and dance, I guess I don’t what I could possibly expect. Certainly not any real insight into Modernism. Isn’t this an very deliberate echo of the N+1 article that came out a year or two ago? What I would love to see next is an article discussing writers who have been doing the sort of work the writer says he desires to see. It is a mistake to think such creations are not being made, just because their writers may be invisible to a wide public.